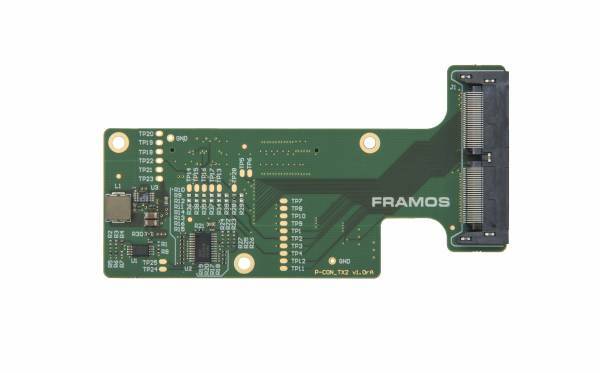 Produktinformationen "FRAMOS Processor Board Adapter (FPA)"
The FRAMOS Processor Adaptor (FPA) boards provide an interface for third party processor development boards to work inside the FRAMOS EV Ecosystem. These boards start with a common connector that allows the FSA boards to quickly connect to them and then translates the signals on this connector into a form that can be understood by the processor development boards. These boards target multiple processor development boards allowing users to evaluate the sensor performance on their chosen processor while using all the tools and libraries available with these development boards. Complimenting this hardware, a software driver, specifically designed for the processor development board, provides a working baseline system to quickly and easily control the sensor and stream images from it for evaluation and further development of your vision application. Weiterführende Links zu "FRAMOS Processor Board Adapter (FPA)"
Produktdetails "FRAMOS Processor Board Adapter (FPA)"